So your little one is coming up on kindergarten age? It’s time to start thinking about how to prepare them for the big day. Check out some of the benefits of pre k education. What are Pre K Programs? Pre k programs use a set of educational theories, practices and programs that focus on children as young as infants to around age four and five. A subset of pre k education, known as infant/toddler education, is focused on children from birth to age two. Most infant/toddler education takes place informally, at home, with parents and loved ones. Family socialization with young children is vital to their healthy development. But the positive effects of formal pre K programs, such as an accredited preschool education, is now widely recognized by early education experts as being just as crucial to a child’s intellectual development. How will my Child benefit from a pre kindergarten program? The benefits of pre k programs have been shown in study after study for many years. These benefits are perhaps one of the most solidly proven subject in educational research. In fact, if this article were to detail the entirety of the benefits of pre k programs, it would run on so long you would probably stop reading it. So we will keep it to a few key findings. More in depth studies have recorded additional long term benefits. 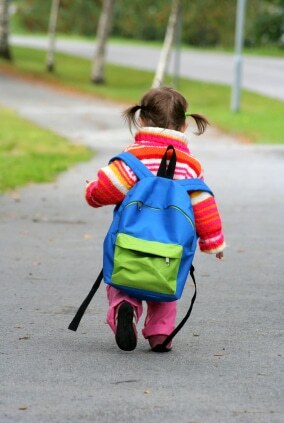 A famous long term of study of the impacts of preschool and early education programs, called the High/Scope Perry Preschool study, found that preschool attendees have fewer behavior and metal health problems, are less likely to get into trouble with the law, earn more income and have high school and college higher graduation rates. Watch me Grow in North Las Vegas is committed to providing children and families in the North Las Vegas area the quality child care they deserve. Our friendly and nurturing staff are devoted to ensuring a safe and loving environment for your child to learn and grow. Our Great Minds Program is a preschool program that prepares children ages 3-5 for kindergarten and beyond. Come check out all our programs and contact us today! We look forward to hearing from you!